Good afternoon everyone! 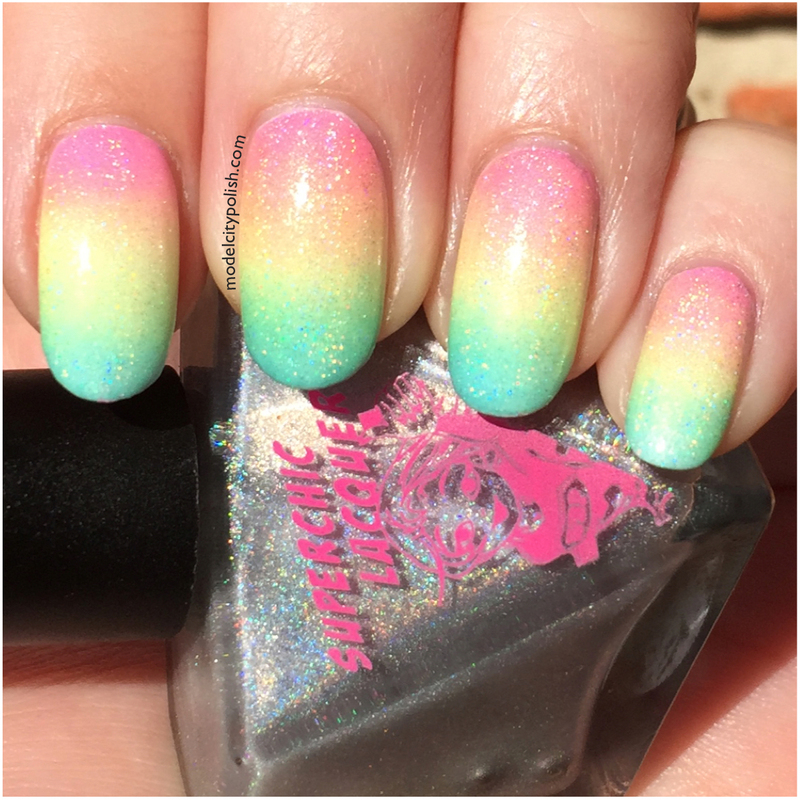 It’s Friday and to kick off a great weekend, plus time change, I am sharing a super awesome manicure that is just perfect for spring weather. 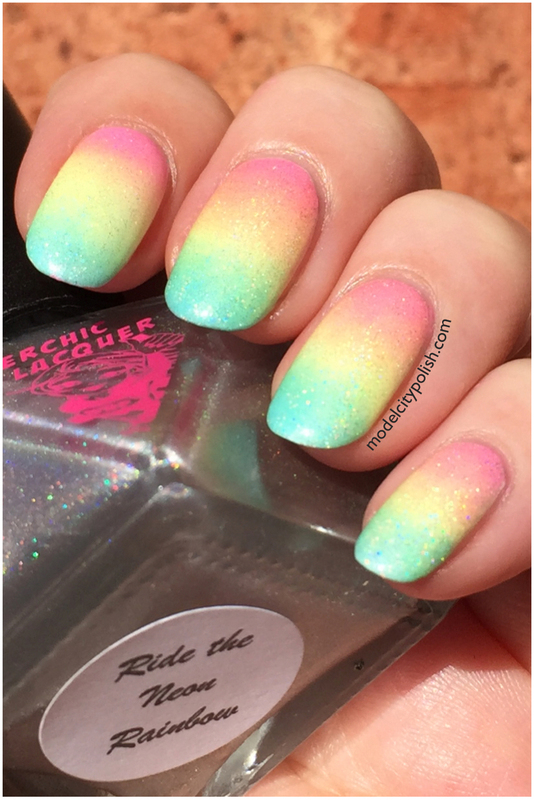 Earlier this week I shared four new blends from the Serendipity Collection by SuperChic Lacquer and as soon as I saw them, I knew the perfect rainbow I wanted to create. I started off with two coats of OPI Alpine Snow and then followed with a sponging of Happenstance, Law of Nature, and Pleasant Surprise. The colors blended beautifully together and the transiting was just perfect. To blend these colors even more I used the new Ride the Neon Rainbow top coat. 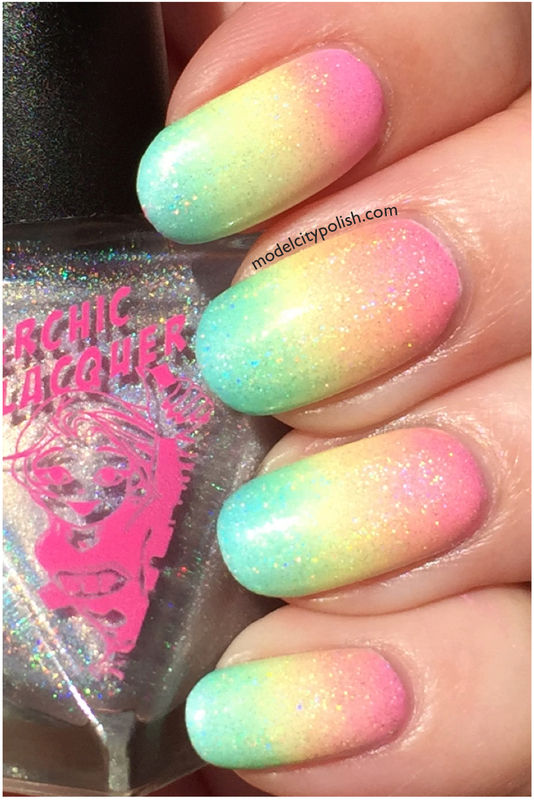 This is a lovely holographic top coat that will give any existing polish that holographic effect. 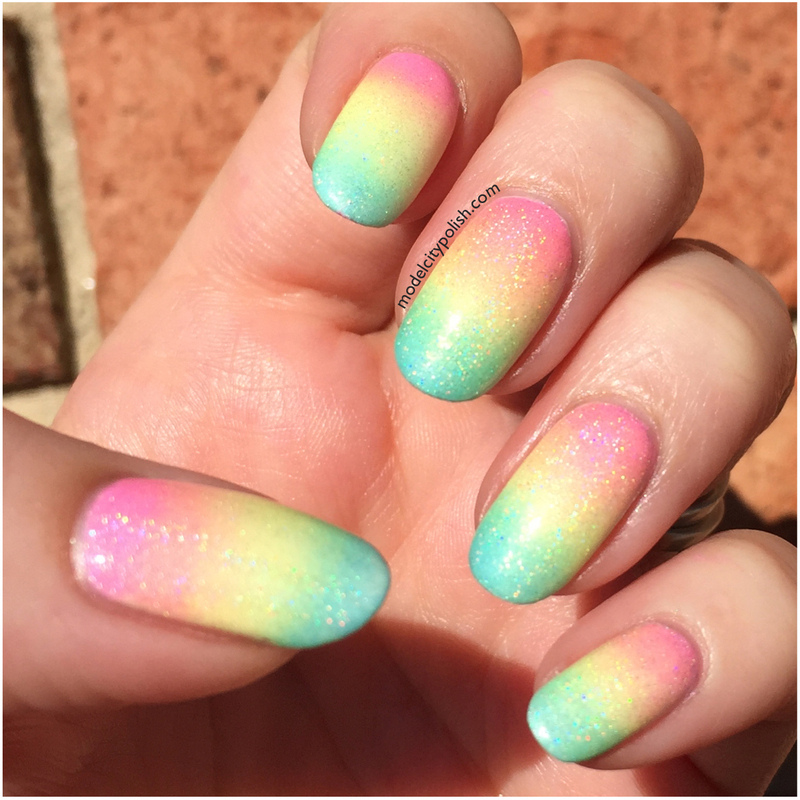 In my photos I am wearing just one coat of Ride the Neon Rainbow over my gradient.